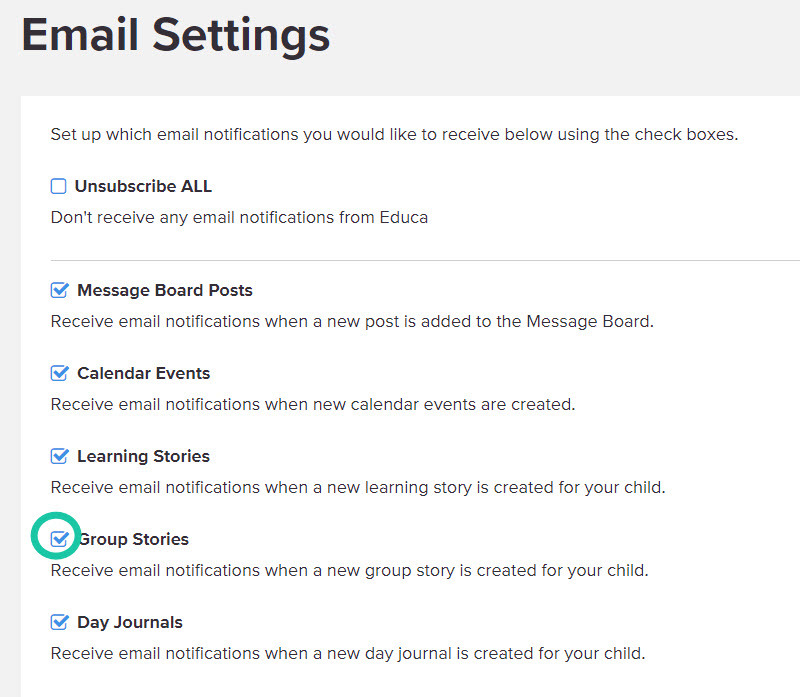 The notification settings page allows you to subscribe or unsubscribe from various types of emails, such as message board posts, learning stories or calendar events. Unsubscribed emails will still appear in your alert notifications (the 'bell' icon) if you want to read them there. This will bring up a selection of several settings for email notifications that you can turn on or off. 3: Tick the check boxes if you wish to receive the email notifications of that type. Un-tick the boxes if you do not wish to receive emails of that type. Note: Teachers and Parents will have different types of emails that they can subscribe to or unsubscribe from, so the above picture will differ.